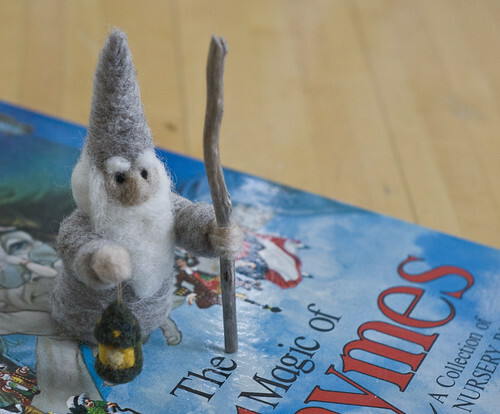 For those homes still fortunate to have a tomte in residence, read no further. I’m pretty sure we’ve got one, or a family of them living somewhere quiet inside. The attic doesn’t quite seem like a good place to live, nor does the basement. The only reason I suspect they are living inside is the occasional glimpse we’ve gotten. I started walking around with my camera just so I could quickly snap a picture when I spotted one. Sure enough, around tea time I caught a glimpse. The next time was in the morning. 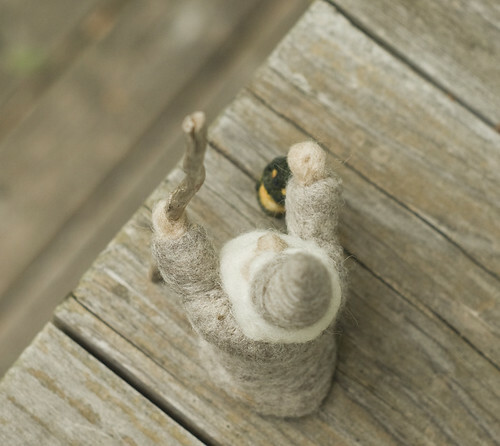 I was about to water the plants and I noticed the little guy looking outside (it’s been a beastly summer, and we’ve closed the house up much of these last couple of weeks). I think he, like us, was missing hanging out outside. There have been other sitings, but I’m trying not to interfere too much, so I just barely got this picture and then promised to put the camera away. I took it while we were sorting through some of our books. I’m sure he was starting scope out the available titles to have on hand during the long winter nights. 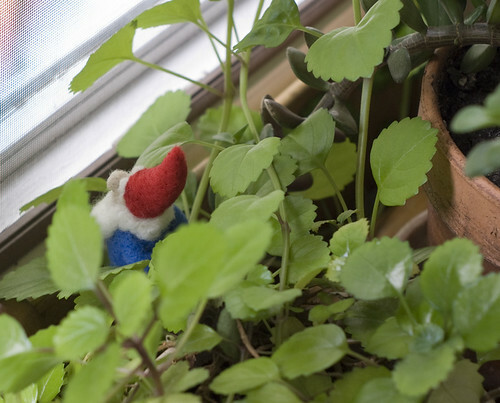 Anyway, the reason why I’m sharing all of this, is that there are many homes that do not have a tomte living nearby, looking after things. They are easily offended and will move out if not properly treated (like, did you remember to put out a bowl of porridge last Christmas night?). I’m pleased to offer a particularly smart and willing wizard for hire. 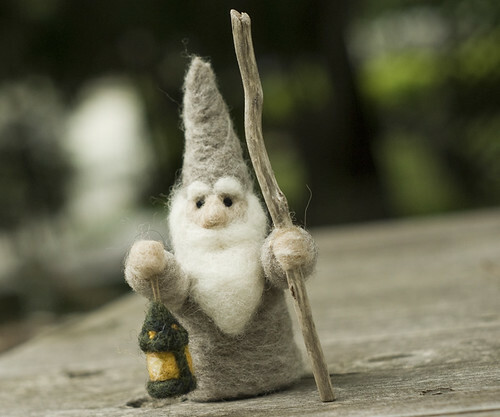 This house wizard can offer similar services as a tomte. 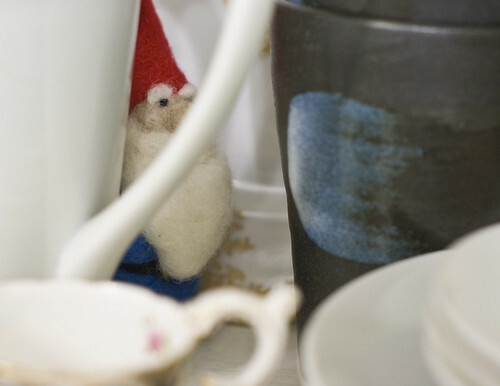 Though not up to speed on the history of your home, he possesses some of the same qualities as a tomte – particularly constant vigilance. 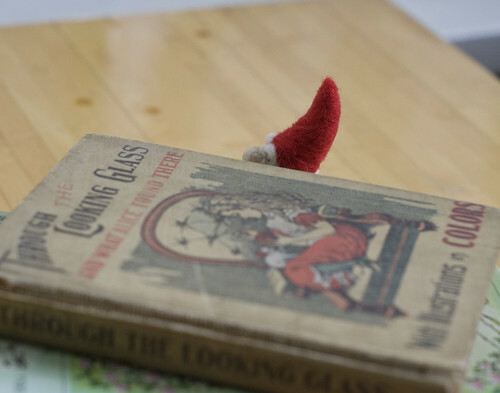 He prefers a high spot in the room (perhaps the top shelf in a living room bookcase) – somewhere where he can survey the room and get a sense of what is happening in the house. Since you pay an agent (me) for his services, he will not run out on you if you forget to get him a present, or suddenly find yourself cursing up a storm. If you are interested, find out more here.